WHAT is it about Australia that so little prominence is given to the first Aboriginal person to serve in the NSW parliament? This is despite the fact she has been Labor MP for Canterbury since 2003 and is now deputy leader of the NSW opposition. Born in 1957 to an Aboriginal man and an unmarried white woman in a small town in the Riverina, Linda Burney strongly identifies as a Wiradjuri woman. After her mother abandoned her, fleeing the hospital, Burney was raised by an elderly aunt and an uncle who had worked as a drover and station hand. When they became infirm, Burney, aged 13, had to assume responsibility for their wellbeing in a house with no running water and only one power point for the radio. She was 15 when they died. Fortunately, she was accepted into the home of Barbara Smith, her best friend, to allow her to complete her School Certificate examinations at Leeton High School. Burney then completed her Higher School Certificate and won a scholarship to study teacher training. Burney feels little bitterness at her mother’s behaviour. “She was a 22-year-old white unmarried mother of a black child in a small country town in the Australia of the 1950s. Did she handle those challenges well? Maybe not Ã¢â‚¬Â¦ But IÃ¢â‚¬â„¢m so grateful to Ninna and Billy for taking me in. Sometimes I wonder what would have become of me if IÃ¢â‚¬â„¢d gone into a welfare institution. Burney was 28 before she discovered the identity of her Aboriginal father. When she met him, she learned that she had 10 half-siblings: nine brothers and a sister. She started teaching at Lethbridge Park Public School in Sydney’s outer west. At the time it was the largest school in the southern hemisphere. Burney was then recruited into the bureaucracy of the NSW Department of Education. Of projects completed, she has a special place for the creation of the state’s first Aboriginal education policy: “It was wonderful to see the reality of Aboriginal experience enter the teaching of our schools. Burney became executive officer of the NSW Aboriginal Education Consultative Group, the state’s peak body for the education of Aboriginal youngsters. Soon she became its president. Most of what Burney knows about administration she learned at the AECG. “I was 28 years old, working with a committee of older people including several elders. I had to show appropriate respect, listen, yet still see that some very tough decisions regarding priorities got taken. Every month, Burney met senior politicians, education ministers and senior bureaucrats. She learned to keep her mouth shut until she felt sure she knew what she was talking about; to stay calm in the face of disagreement. From then on, apparatchiks and politicians lost their mystique for Burney. She vividly remembers sitting with one education minister (she won’t name him) and a thought entered her mind: “IÃ¢â‚¬â„¢m as intelligent as you are; I could do your job. At the AECG, Burney saw Aboriginal studies introduced as subjects for the School Certificate and the HSC, and Aboriginal perspectives included in most curriculum areas as a matter of mandated policy. Meanwhile she became chairwoman of the state’s peak advisory body to the premier in the area of juvenile justice, and was a member of the NSW Board of Studies and the council of SBS. The Walk for Reconciliation across the Sydney Harbour Bridge on May 28, 2000, came about largely because of Burney’s leadership. More than 300,000 indigenous and non-indigenous people participated. She was ultimately made director-general of the NSW Department of Aboriginal Affairs. After becoming the state’s first indigenous MP, Burney served as NSW minister for consumer affairs, then minister for community services, where she had responsibility for the implementation of the recommendations for the development of the Department of Community Services made by retired judge James Wood. Simply put, Burney has vastly more experience in the recommendation, formation and implementation of Aboriginal public policy than any other member of state parliament, and possibly as much as anyone in any parliament in Australia. Although taking up a seat in NSW parliament involved a substantial salary cut, for Burney it was a natural progression. “I have always had a fixation with the question of social fairness. That’s been the common link in all of the work that IÃ¢â‚¬â„¢ve done. Parliament is where the laws get made. It was natural to me to want to be there. And, in general, it’s been a satisfying experience. But nothing prepared her for the almost total loss of her privacy. This especially applied after the unexpected death in 2006 of her partner, National Farmers Federation chief executive Rick Farley, who Burney still misses deeply. Then there occurred a cruel and gratuitous putdown of Burney by the NSW Liberal Premier. In parliament Barry OÃ¢â‚¬â„¢Farrell stated that while Family and Community Services Minister Pru Goward had achieved her place through merit, this “is not something that you (that is, Burney) can say. In fact, Burney has earned her place in politics, from being a hardworking government minister to being federal president of the Labor Party. She is now a loyal and able deputy leader of the severely depleted NSW Labor opposition, whose leader is ex-union heavyweight John Robertson. Outside of parliamentary politics, Burney has spoken three times at the UN and is chairwoman of the Australian Rugby League Indigenous Council. What next? Burney confides that she will make herself available for preselection for the next NSW state election, due in 15 months. After that? “Ross, IÃ¢â‚¬â„¢ll be 62 at the end of the parliament after this one. IÃ¢â‚¬â„¢d like to leave myself time for another career. But what this may be she will not divulge. By any count, Burney is an exceptional woman. Her personal and professional history deserve to be much more widely known. 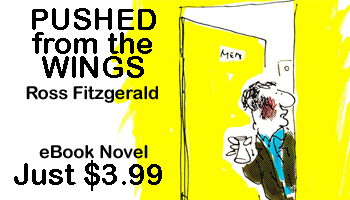 Ross Fitzgerald is emeritus professor of history and politics at Griffith University. 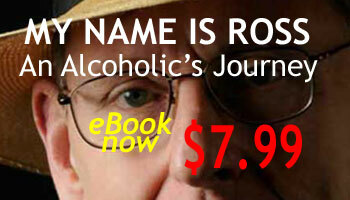 His memoir, Ã¢â‚¬ËœMy Name is Ross: An Alcoholic’s JourneyÃ¢â‚¬â„¢, is available as an e-book. The Weekend Australian, February 15-16, 2014, INQUIRER p 16. Thanks for Ross Fitzgeraldâ€™s precis of the life of Linda Burney (â€Burney has earned her place in the pantheonâ€, 15-16/2). Not given to blowing her own trumpet, she is an inspiration to all, whatever their heritage. The Australian, February 17, 2014, Last Post p 11. Ross Fitzgerald is right when he asks why there is little celebration about the achievements of Aboriginal politician Linda Burney (â€Burney has earned her place in the pantheonâ€, 15-16/2). Hers is an inspiring story. It is unbelievable that Barry Oâ€™Farrell claimed she had not achieved her place through merit. The Australian, February 18, 2014, LAST POST, p 11.